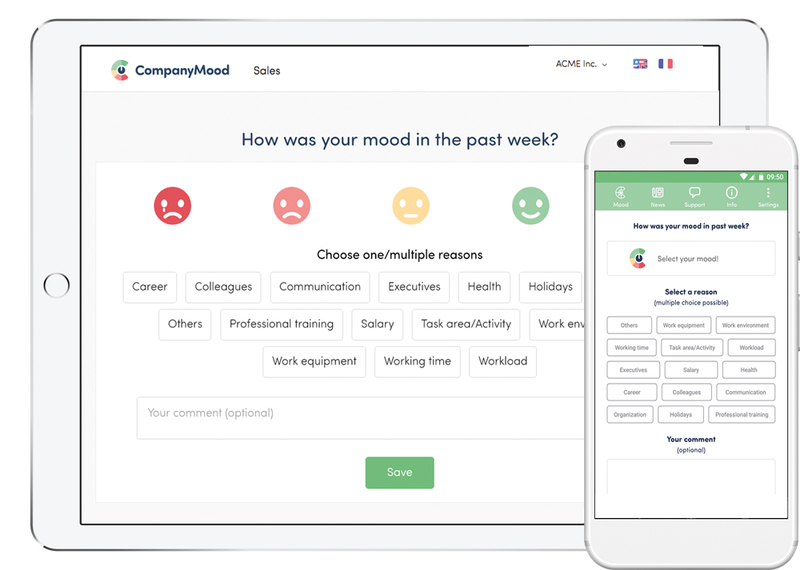 With the CompanyMood apps for Android and iOS, employees can submit their mood review comfortably by smartphone. Push messages optionally remind of the mood review. Our mobile Apps for Android and Apple Smartphones allows simple and comfortable mood reviews on the move. Your employees can participate wherever they are. So it doesn't matter if it's the field sales department or your customer service department, every employee can give mobile feedback and can be reminded by push messages to participate. Furthermore the apps come with a support chat and our blog section. The apps can be switched between three languages (english, german and french) and are available for free. The login into the app requires an active CompanyMood account.